Samsung still wins fights with its QLED technology and 144Hz refresh rate, whereas both the Predator Z35 and ROG PG348Q only utilize IPS panels that max out at 100Hz. 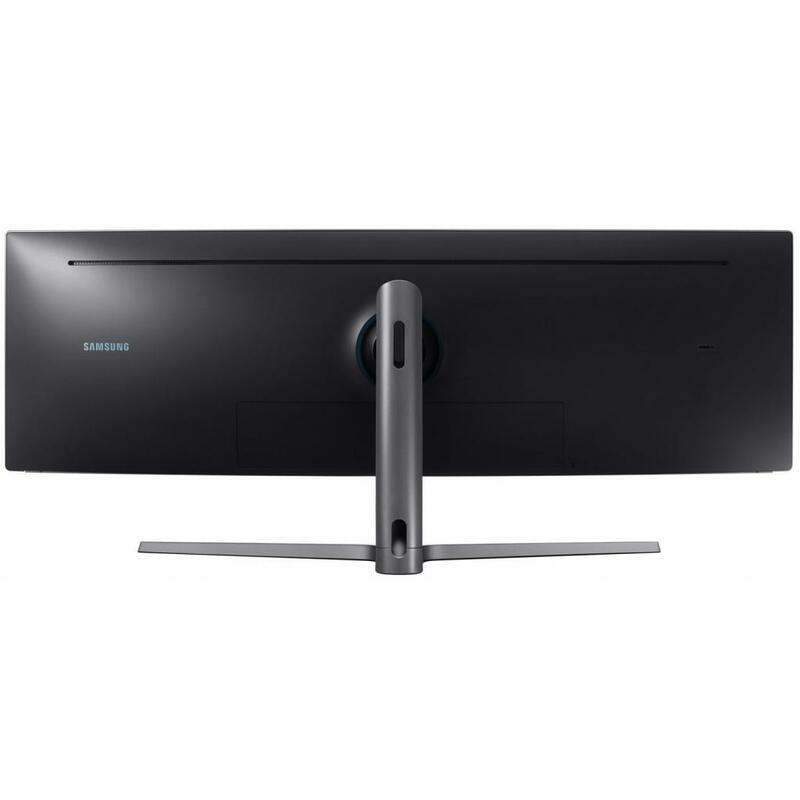 The Samsung CHG90 is massive, 49-inch gaming monitor with an unheard of 32:9 aspect ratio that will envelop you in its curved display. The monitor’s 32:9 aspect ratio is equally and overwhelming. There’s simply no way to see the entire monitor at a glance because your field-of-vision just isn’t wide enough. the sides of this monitor are likely going to hover above and past the ends of your desk. Also, be sure your table big enough to accommodate the screen’s rather large stand. what you’ll find on this monitor is a ring light built into the back of the monitor. 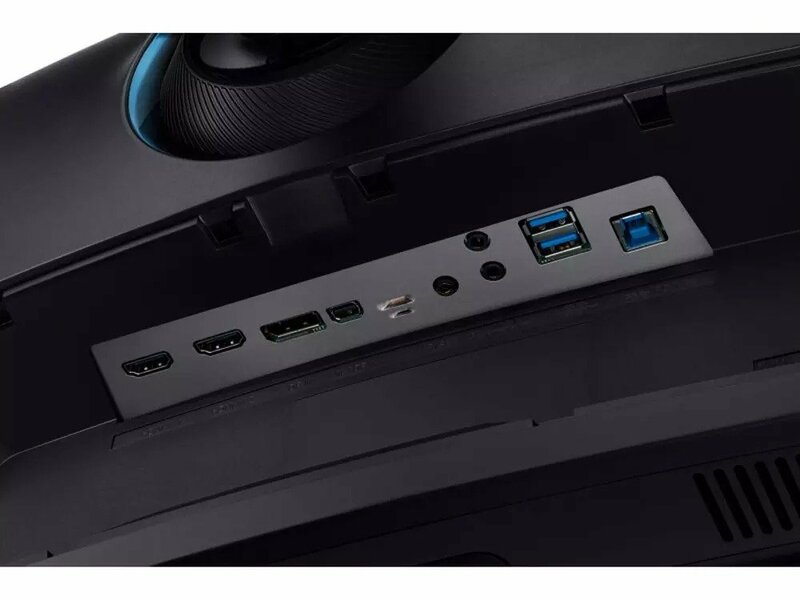 Samsung has even classed up this area by incorporating a ring of swirling plastic molding that also does a great job of hiding the VESA mount. Through a desktop application called the Easy Setting Box, you will be able to split the monitor into six distinct areas. There’s a variety of other modes, including one that splits the screen area into three vertical panes or even two extremely wide horizontal splits. Samsung-provided test rig equipped with a Ryzen 7 processor and AMD Radeon RX Vega 64. 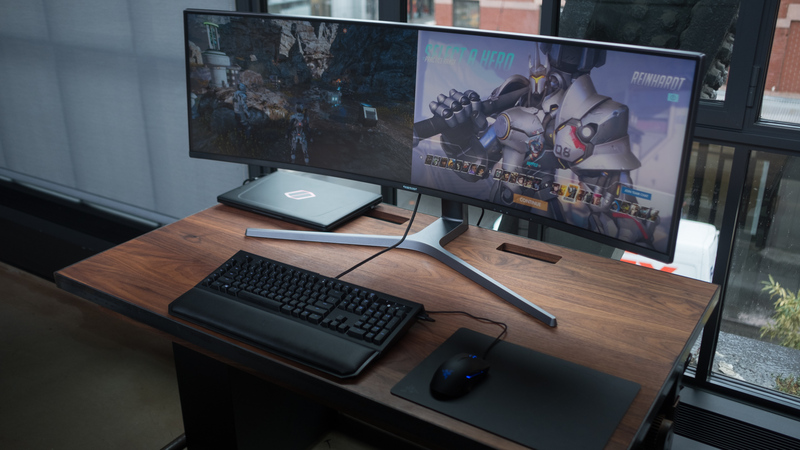 You’ll need a tricked-out gaming machine to take full advantage of the Samsung CHG90. 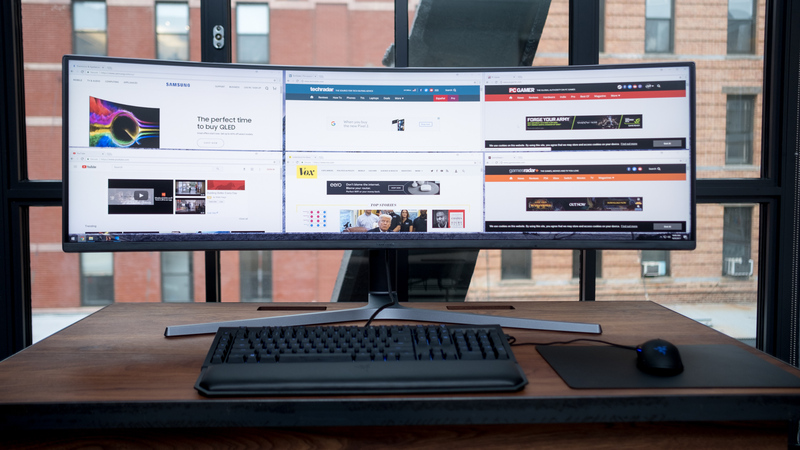 you can easily have a dozen applications open at the same time and still had room to fit in even more windows, This monitor will make a multi-tasking master out of you.